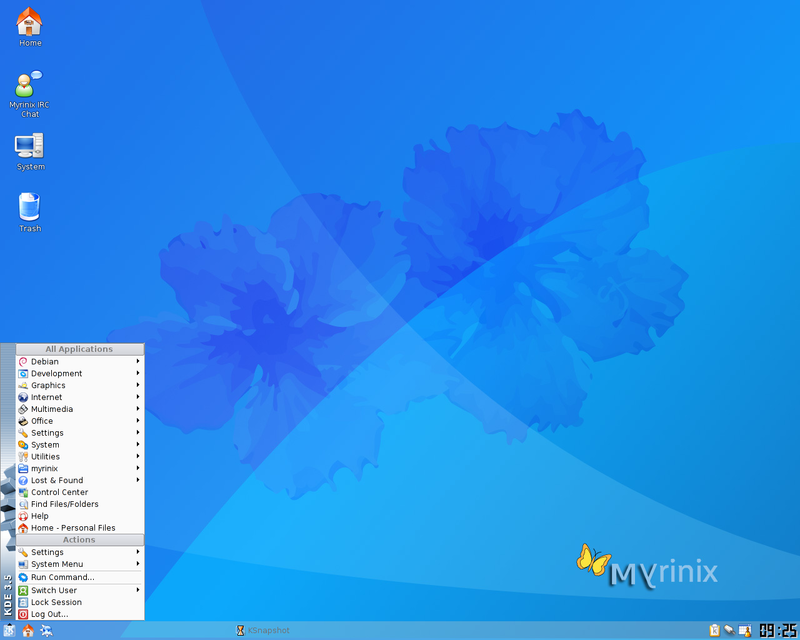 Myrinix was smart and centralised operating system for the home. Its main feature was the ability to connect a plasma TV or large LCD screen to a central server that can record and play DVD or surf the Internet on the big screen. Myrinix was a live CD based on Debian GNU/Linux and sidux. Rate this project Mandriva Linux 2010 has been released: "Mandriva is proud to introduce its brand new release: Mandriva Linux 2010, code name 'Adelie'. Included in this new release, 'Smart desktop' technology, coming from a European research project. Your desktop is tasks oriented. Organize your personal data (mails, documents, images, videos). Notate it, add your comments and tags. Now your data is easy to find through your projects. Boot time has been improved again. Mandriva Linux 2010 comes with 3 brand new designs - choose the one you prefer. You can also choose one of the 11 extra backgrounds contributed by community members." Read the release announcement and release notes, and visit the what's new page to learn more. Download either the installable live CDs or the installation DVDs: mandriva-one-2010.0-KDE4-i586.iso (678MB, MD5, torrent), mandriva-one-2010.0-GNOME-i586.iso (696MB, MD5, torrent), mandriva-free-2010.0-i586.iso (4,364MB, MD5, torrent), mandriva-free-2010.0-x86_64.iso (4,399MB, MD5, torrent).